I’m extremely excited today because Marissa agreed to go to Noryangjin Fish Market! When we first arrived in the Noryangjin area we were super confused and lost until we discovered a staircase leading up the Line 1 station which took you to the fish market! Upon arriving into the market though everything was rather chaotic and intimidating. The people at the market will constantly try to lure you to their stalls and speak phrases of whatever language they assume you know to you. Since we both are Asian, Marissa and I wound up having a lot of people speaking in Chinese to us. After our first pass through the sales area, we finally headed back to one of the stalls on the outer area since everything looked fresher there! We didn’t know what to do with everything or how to speak in Korean well, so after they lead us to the restaurant I got everything grilled! 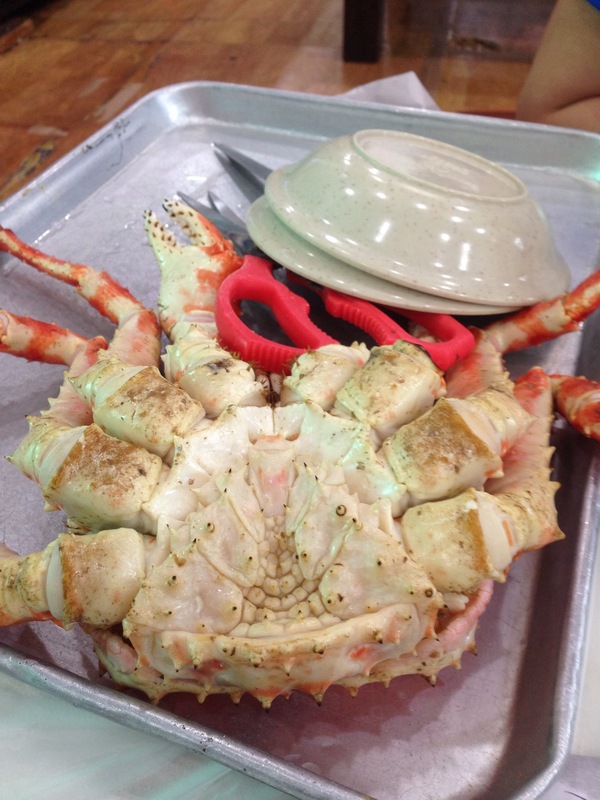 Our favorite wound up being the freshly steamed crab and the pen shells. 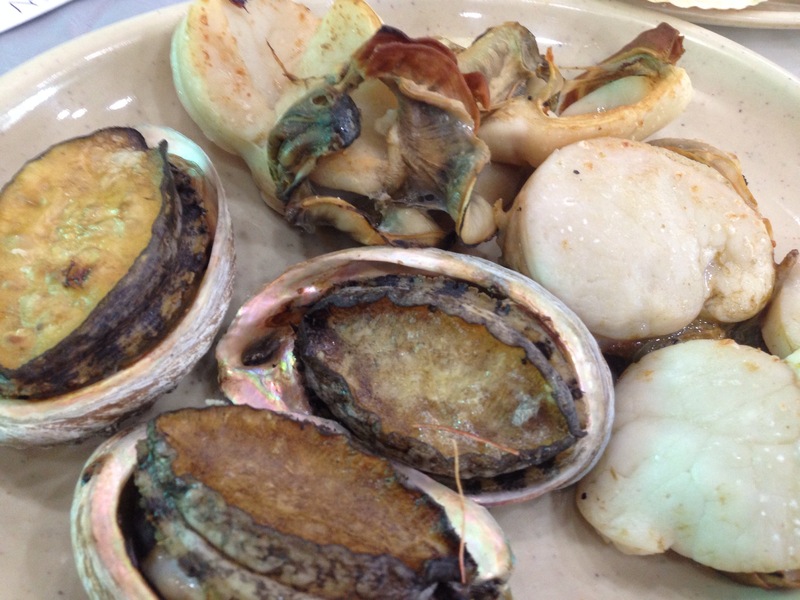 The abalone is overhyped for the market 😦 it would’ve better bringing it home yourself to cook, same goes for the other shellfish which were slightly overcooked and became tough rather quickly since the aircon was rather strong. 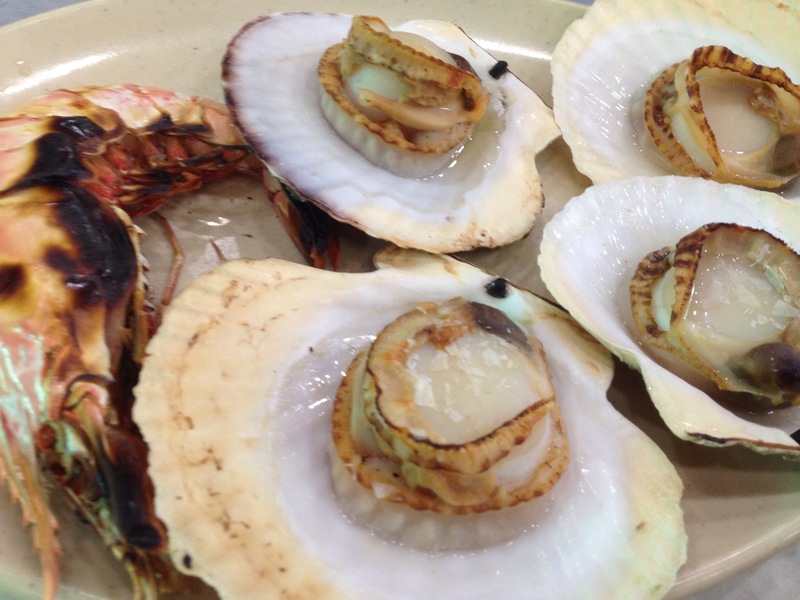 In conclusion, don’t go for the shellfish unless it’s something you can’t cook yourself. Getting a fish might be a better idea.